Reduces Kapha. This oil is warming, activating, smoothes the skin and is purifying. It can be used by all types of constitution as a bath oil and for head and face massage. 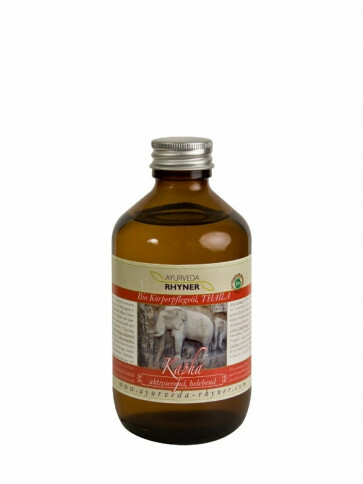 It is mainly for those with Kapha constitution or Kapha imbalance, for soft skin, helps when dieting, or for use before sport or planned activity. A few drops can also be added to bathwater. It is not suitable for children or babies and generally should not be used on the head or face because of its heating effect. Rosemary fragrance. The oil unfolds its wonderful, natural fragrance when warmed or spread on the skin.